Less than a month after a new push for gun control in the South Pacific nation was first floated, Governor-General Dame Patsy Reddy signed a sweeping ban into law. Reddy gave Royal Assent to New Zealand’s Arms Amendment Act on Thursday after the measure passed the nation’s Parliament this week in a 119-1 vote. The amendment changes the country’s 1983 gun laws to remove semi-automatic firearms from circulation and use by the general population in New Zealand by prohibiting not only most semi-autos but also their magazines and parts. Introduced on April 1, the sweeping restriction garnered more than 13,000 public comments in its short legislative lifespan including many from legal gun owners who were shocked by the nature of the proposed changes. 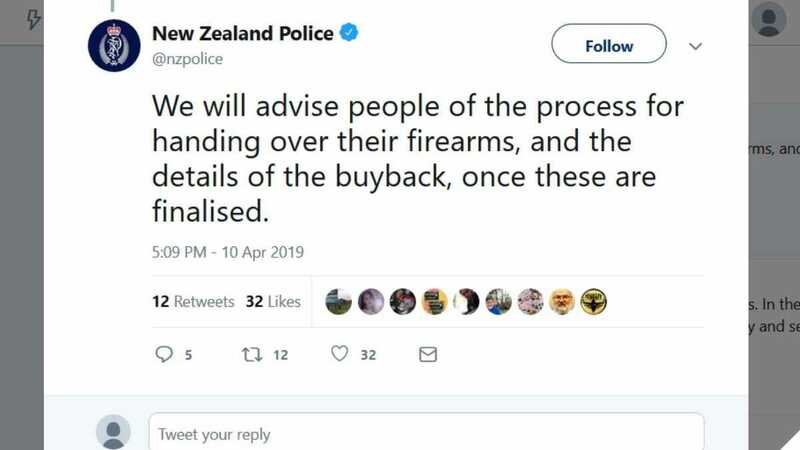 “On something like this, which is fundamental to New Zealand society, you don’t just trample over everybody and then say, ‘well we’ve discussed it’,” Paul Clark, chairman of the 50,000-member Council of Licenced Firearms Owners, told Radio New Zealand. As detailed by the national police, the entire category known as “military-style semi-automatic firearms” has been outlawed for civilian ownership. Fundamentally, all centerfire semi-auto rifles, as well as any shotgun capable of using a detachable box magazine, are prohibited. Detachable magazines capable of holding 10 or more rounds are on the banned list, regardless of caliber. Semi-auto and pump-action shotguns, popular with hunters, are an exception to the rule as long as they have a fixed magazine capable of holding five or fewer shells. New Zealand’s national 3-gun champion Phil Dunlop fears he may have to give up the sport that has been his passion for over 20 years, as there is no exemption for sporting use. He is weighing leaving the country. The details of a government-funded “buyback” effort, which could cost upwards of $500 million NZD ($330 million U.S.) are still being worked out. Those possessing banned guns six months after the last date of the buyback are liable for penalties, if caught. This has not dissuaded local gangs, such as the 1,000-member Mongrel Mob, from proclaiming they will not hand over any of their arms. Lacking any equivalent to the Second Amendment, New Zealand’s current 250,000 firearm license holders who possess now-banned hardware can apply for an endorsement to their license to be able to keep some heirloom, rare, or high-value arms, but would have to show the reason why they shouldn’t be turned in. Some have reported being visited unannounced by police in recent days. Police are urging those who possess banned guns not use them until they can be handed in. Meanwhile, lawmakers are contemplating further gun control measures to include mandatory gun registration.